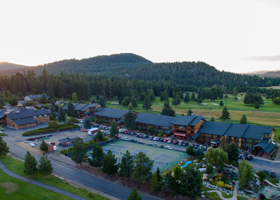 Stoneridge Resort, located in the panhandle of north Idaho, is truly one of the jewels of the "Gem State". Situated in a rural valley surrounded by mountains and lakes, it is a beautiful place for a relaxing vacation away from the city. We are surrounded by the StoneRidge Golf Course, a PGA rated 18-hole golf course and a residential community. There are roads and paved biking and hiking trails for getting out to enjoy the beautiful scenery everywhere you look. During the summer, you will find an abundance of activities, and the winter offers serenity and snow sports. In the fall, you will enjoy the ideal weather conditions and the brilliant colors that dot the landscape. Stoneridge is an hour's drive from Idaho's largest and most beautiful lakes: Coeur d'Alene, Pend Oreille, and Priest Lake. Enjoy boating, swimming, fishing, dining, and cruises in some of America's most gorgeous wild lands. During the winter, explore snowmobile and cross-country ski trails. Four downhill ski areas are just over an hour's drive: Mt. Spokane State Park; 49 Degrees North Mountain Resort near Chewelah, WA; Silver Mountain in Kellogg, ID; and Schweitzer Ski Resort in the Selkirk Mountains overlooking Sandpoint, ID. Fishing and water sports on site at Lake Sans Souci (fishing only and no motor boats) and on numerous area lakes including Lake Pend Oreille, Coeur d'Alene Lake, and Spirit Lake. We have approximately 20 lakes within 40 miles of Stoneridge Resort. Lake Coeur d'Alene is 25 miles long with 135 miles of shoreline and gets 120 feet deep, with lake cruises, April through January. Lake Pend Oreille is the fifth deepest lake in the United States at 1,150 feet deep in some areas, and has cruises June through late October. Farragut State Park: Formerly held the Farragut Naval training station, a major training base of the US Navy during World War II. We are 58 miles from the Spokane International Airport. From Spokane, take I-90 east across the Idaho line to exit 7, then proceed north on Highway 41, 7 miles north of Spirit Lake to Blanchard. Turn on Blanchard-Elk Rd at Conoco Station between mile marker 26 and 27. Follow signs to Stoneridge Timeshare Resort. From Sandpoint, Id, take Hwy 95 south to Athol. Turn west on Hwy 54 to Hwy 41. Turn north on Hwy 41, 7 miles to Blanchard. Follow directions above. Registration Office, open 24hrs, is located in the Lodge at Stoneridge, building in front of tennis courts, "double red doors". 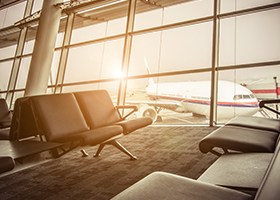 If using a GPS, head towards Post Falls and start GPS once you get to Post Falls as the GPS will take you over a mountain if you begin it at the Spokane Airport.